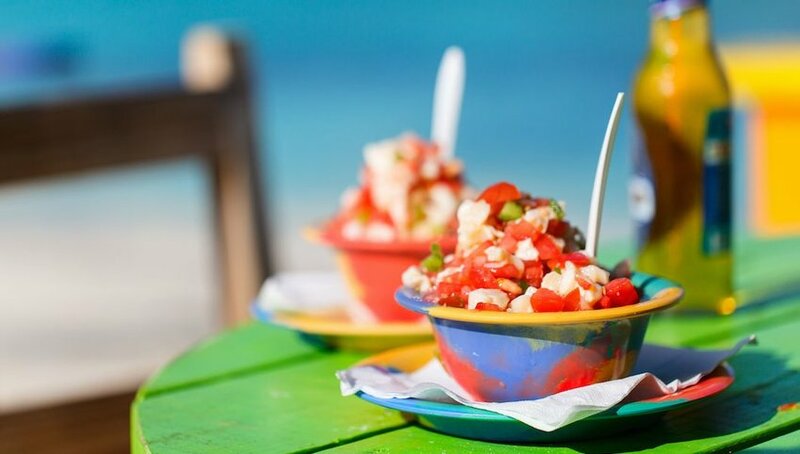 No matter where you travel in the Caribbean, you’ll find a wide variety of culinary delights that draw upon the culture and history of each individual island. 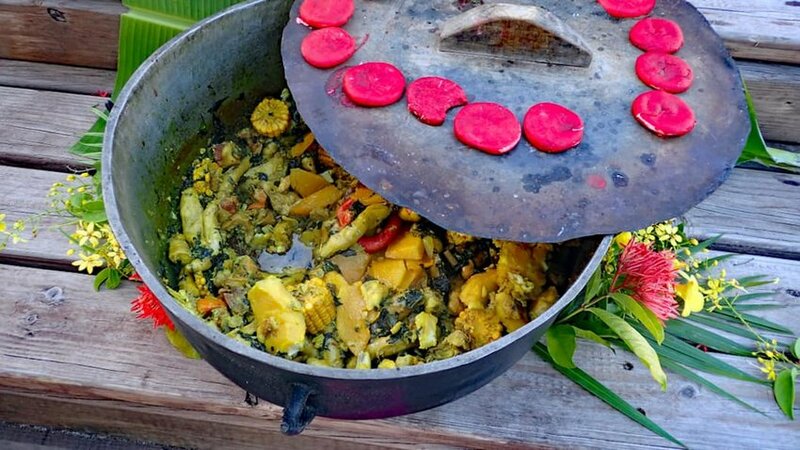 Here’s a look at some of the most iconic and beloved dishes and ingredients found in various Caribbean nations. 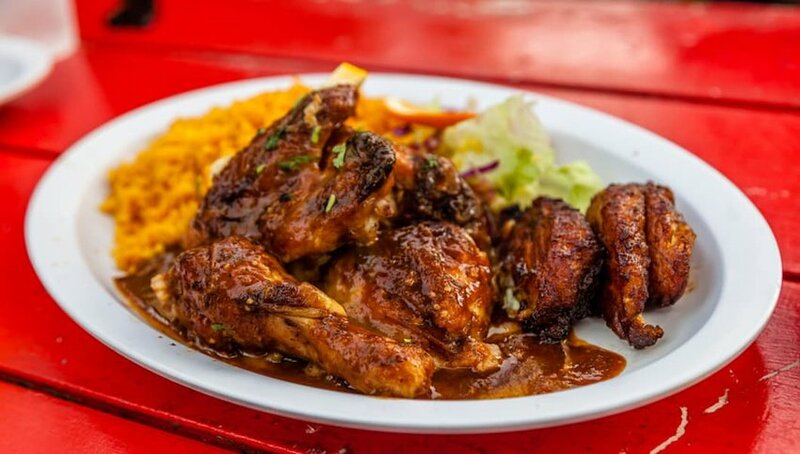 Jerk chicken is one of the most well-known dishes to come out of Jamaica. Jerk is actually a style of cooking where the meat is either wet marinated or has a dry rub of Jamaican jerk spice. Two key ingredients of jerk seasoning include scotch bonnet peppers (habanero) and allspice (pimiento). Other seasonings can vary, which is why jerk can taste so different depending on where you are and who is making it. The only answer is to try it multiple times and let your taste buds draw the conclusion. Conch, a tropical marine mollusk, is found throughout the Caribbean and is used to make a variety of signature dishes. Some of these include conch fritters, conch soup and raw conch salad. The Bahamas is famous for its conch fritters, while the Cayman Islands is a great place to try conch soup. Pair with some tropical punch and a beach view and you've got the perfect afternoon snack. If you’re visiting Puerto Rico, don’t miss out on mofongo. It may not be the most visually-striking dish, but it sure is tasty. 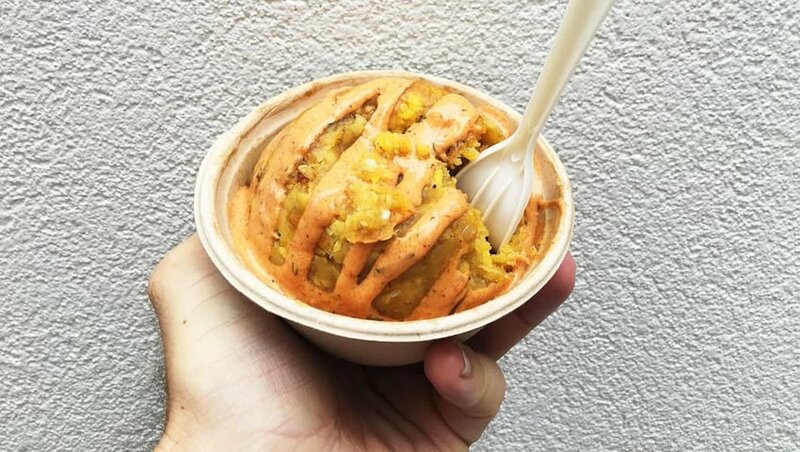 The primary ingredient in mofongo is fried plantains, which are mashed with salt, garlic and olive oil. You'll find mofongo in other Caribbean destinations, like the Dominican Republic, so keep an eye out when you're perusing menus. You can't beat a good plate of rice and beans. This dish is a staple in many Caribbean nations, including Belize. 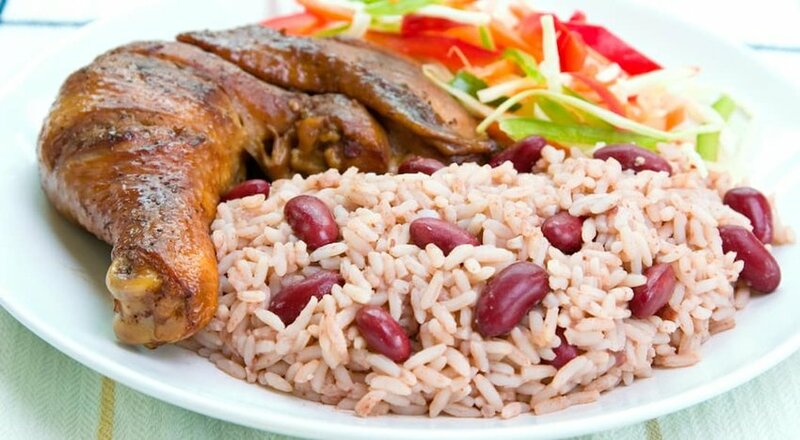 If you’re headed to Belize, don’t miss trying rice n’ beans with stewed chicken. The stewed chicken has a distinctive red color which is drawn from the red recado used to cook the chicken in. While you’ll find it in restaurants all over the country, some of the best rice n’ beans is found in local eateries, often called delis. Need to add some greens to your diet? 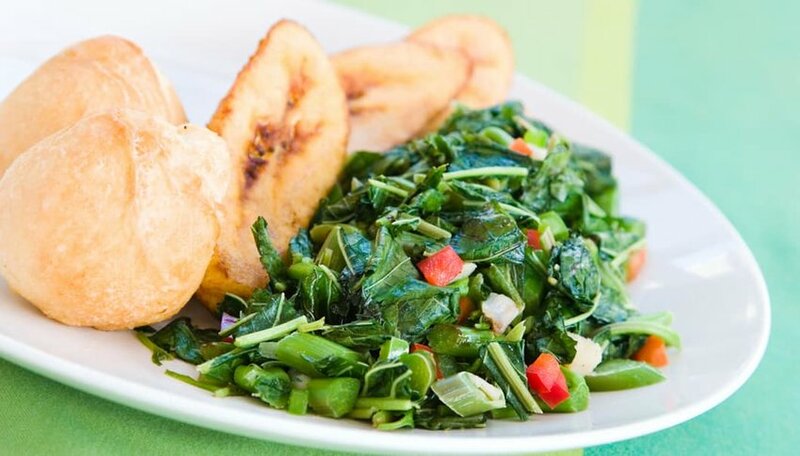 Try Callaloo. This leafy green dish has its roots in West Africa and is seen in a variety of Caribbean nations. Callaloo is commonly served as more of a soupy dish. In Saint Martin, you’ll find pork cubes, okra, chicken stock, thyme, hot peppers and black pepper added. In Trinidad & Tobago, you’ll find crab and callaloo, while Dominica is known for its callaloo soup that has meat and coconut milk. 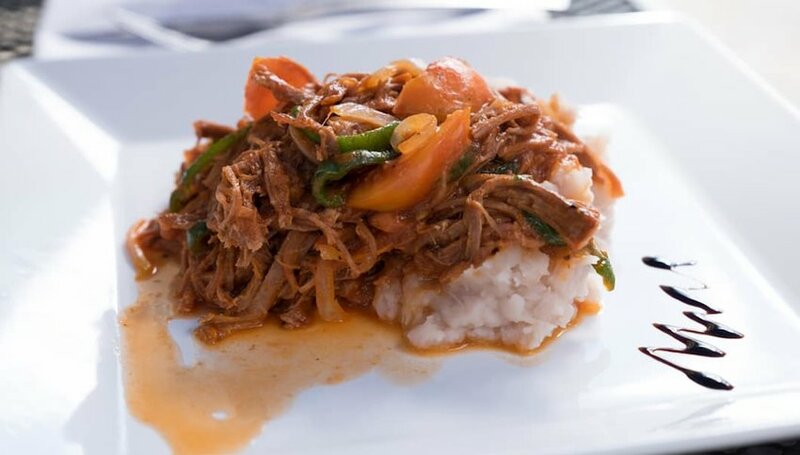 You may be eager to try a Cuban sandwich while in Havana, but why not expand your dining options and try Ropa Vieja. This dish is considered by many to be the national dish of Cuba. It’s made with shredded steak that is cooked in an herb-rich tomato base. It’s typically served over yellow rice with black beans and fried plantain. Found in the western Atlantic, the Caribbean spiny lobster is quite different than a Maine lobster. Spiny lobsters don’t have plump edible claws, so you’ll only be dining on the tail here. 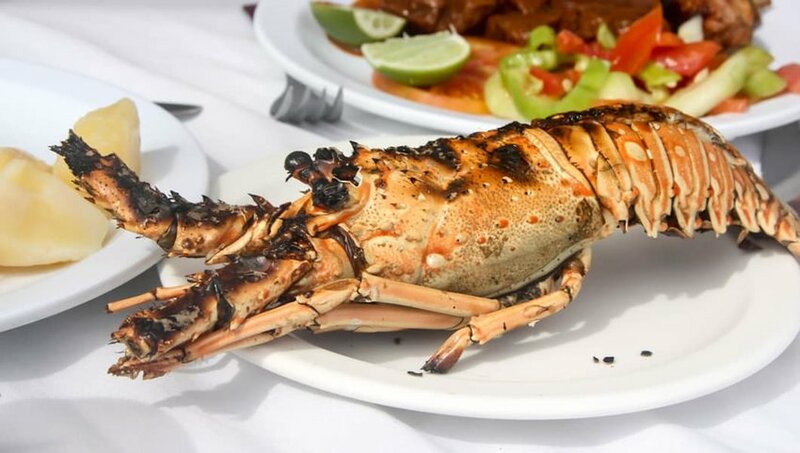 You’ll have to time your trip right, as well, as some Caribbean countries have their own lobster season, which means you can’t catch, consume or be in possession of lobster outside of the approved time of year. Don’t let the odd name keep you from trying this delicious dish in Grenada. Oil down is made with breadfruit, a popular ingredient throughout the Caribbean, and usually pigtail, salted beef and more. It gets its name from the layer of meat juices and coconut oil that settle at the bottom of the cooking pot.